The 4th of July is one of my favorite holidays of the year. It’s a great time to bring family and friends together to have an adult beverage or two, eat some fantastic food – preferably barbecue – and then celebrate America with a glorious display of fireworks. There are plenty of options when it comes to food for the 4th of July, and I believe if you’re celebrating America, you should be celebrating it with my favorite pellet smoker dessert recipe – Apple Pie. There are a lot of different ways to make apple pie. 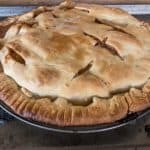 Hopefully, I don’t step on your Grandma’s toes when I say this recipe, is the best Smoked Apple Pie Recipe you’ll find. 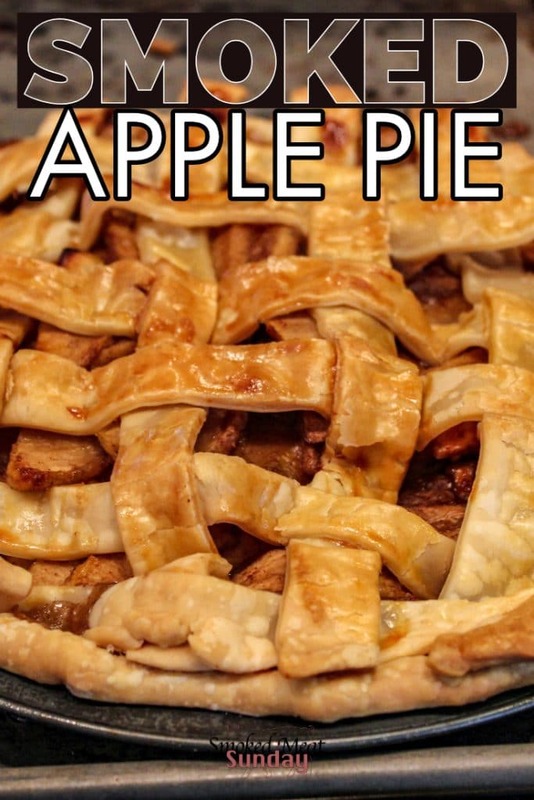 How Do You Make a Perfect Apple Pie? The crust should be golden brown on the bottom, but not burnt. If the crust is soggy, it’s out. Every bite you take should result in a perfect combination of tart and sweet. See above in step 1 – if the crust is soggy, and the filling is soupy… you’ve failed. Follow along below to learn how to make the perfect apple pie. One of the most common problems people experience with homemade pie is that the crust turns out soggy. This crust recipe results in a flaky crust every single time. The key is to mix some of your flour with the butter first, and then add the rest of the flour. This might not make sense… but just trust me. I learned about this pie crust at Inspired Taste. Let’s be clear, this pie crust recipe is not mine! All credit goes to Inspired Taste. Here is a quick video that shows you exactly how to make the crust. I’ll put all the details in the recipe at the end of this post. You don’t have to make your own pie crust. Pillsbury makes a great premade crust that I’ve used several times too, but I really enjoy making everything from scratch. If you made your own pie crust, you can do this step while the crust is chilling. 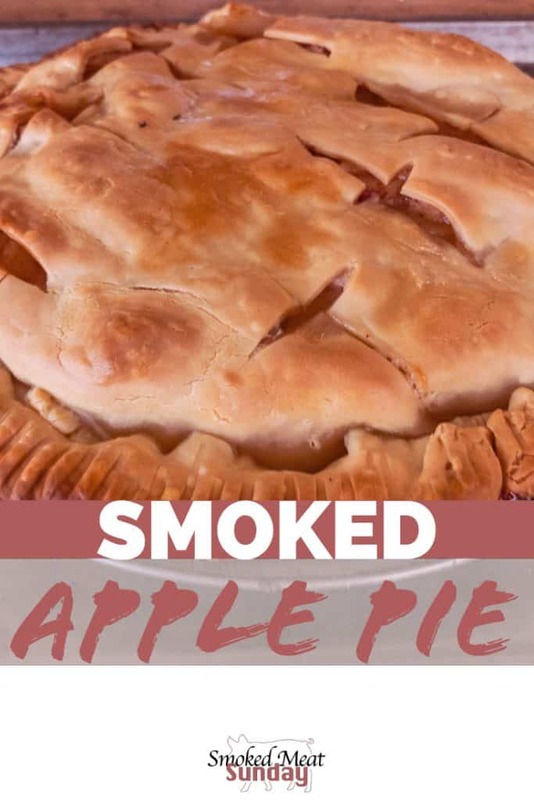 It takes a little bit of time to prepare the filling for your smoked apple pie, mainly because you have to peel, core, and slice all of the apples. Now here’s the big key to the perfect flavor profile. Instead of using just one type of apple, use two types! You’ll need 3 granny smith apples, and 3 honey crisp apples. Some people like a tart apple pie and rely on the added sugar to bring in the sweet. By including some honey crisps, you don’t need to add as much sugar, and the filling still turns out delicious! After you’ve peeled, cored, and sliced the apples place them in a large bowl, and toss with some lemon juice. Then add brown sugar, flour, cinnamon, and nutmeg to the apples. Toss the apples in the flour mixture until they are evenly coated. After the pie crust has chilled in the refrigerator for at least an hour, remove it, and roll it out on a lightly floured clean surface. You’ll want to roll it out to a twelve-inch circle that’s about an eighth inch thick. Repeat the process with the second pie crust ball, and then roll one of the pie crust around your rolling pin to transport it to the nine-inch pie pan. Gently press the crust into the bottom of the pie pan, being careful not to poke any holes in the crust. Put the crust in your smoker on high heat (425) for twenty minutes or until the crust is golden brown. 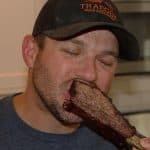 Remove the crust from your smoker, and turn the temperature down to 375 degrees. Place the sliced apple pie filling onto the crust, piling it high in the middle, and then place your second pie crust on top. Crimp the edges of the crust all the way around, and cut away any excess. Cut a few small slits in the top crust with a butter knife, brush the top with egg wash, and then return the pie to your smoker uncovered for about 30 minutes. Remove the pie from your smoker, and let rest for 20 minutes. Just because this isn’t meat, doesn’t mean you don’t need to let it rest! Trust me. Once the pie has rested, serve it up alongside a large scoop of vanilla ice cream, and enjoy! Add a portion of the flour (1 1/2 cup), plus the salt and butter to a food processor, or large bowl. Combine the flour and butter until a paste forms, and then add the rest of the flour. Continue combining the mixture until it has the consistency of breadcrumbs. Form a ball with the dough, and slice in half. Wrap each half in plastic wrap and place in your refrigerator for at least one hour. After the dough has chilled, remove it from the refrigerator and roll each dough ball out into a 12-inch circle. Roll one of the pie crusts back onto your rolling pin, and then gently place the crust into a 9" pie pan. Gently press the crust into the bottom of the pan. Cook the empty pie crust in your smoker on high for about 20 minutes or until the crust is golden brown. Place the second pie crust over top of the pie filling, and crimp the edges. Cut away any excess crust and put 4 to 5 small slits in the top crust with a butter knife. Brush the crust with egg wash.
Place the pie in your pellet smoker at 375 degrees uncovered for 30 minutes. After 30 minutes lightly tent the pie with foil, and continue cooking for an additional 30 minutes. The pie is done when the top is golden brown and the filling is bubbly. 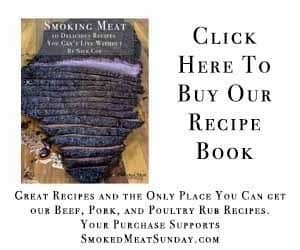 Next PostHow Long Does it Take to Smoke Meat?